[Share] How to Know that Whether VoluMill for ZW3D Suits You? How to Know that Whether VoluMill for ZW3D Suits You? Some users might have questions about whether VoluMill technology is suitable for them? So I ‘m here to explain what kind of CNC milling users had better choose VoluMill. Keep reading and find out the answer. In fact, VoluMill’s customers spread all over aerospace, automotive, mechanical, mold/tool and die industries, etc. Obviously, it is used widely! 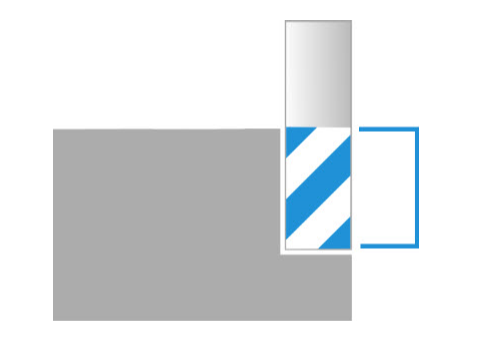 Here is one simple and effective way to determine whether VoluMill for ZW3D is the best solution for you – which kind of milling cutter you were using for roughing. Generally,it can bring more benefits to users if users use Carbide cutter and HSS cutter for roughing. Because these cutters have long flute length to allow for deeper cutting steps, they can maximize the performance of the VoluMill toolpath. In addition, the more materials removed from the part, the more significant the benefits would be. In the following cases, the left one saves more than 70% of the time, and the right one saves around 43% of the time compared with the traditional roughing toolpath. Last but not the least, the part size matters as well, If the milling is done with very large and deep part(e.g. 1000*500*200 mm), it’s necessary to select a bigger and longer cutter. The indexable milling cutter is supposed to be used at that time since indexable milling cutter size can be bigger and longer,(normally, the maximum carbide cutter size is around D12*75mm, maximum HSScutter size around D25*130mm). In this case, the benefits of applying VoluMillare not obvious. 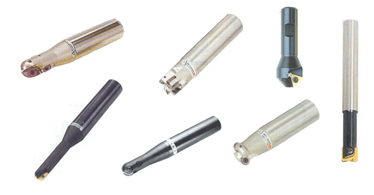 VoluMill is perfect for you if you need to use carbide cutter or HSS cutter for roughing on your CNC milling machine. Have you ever tried VoluMill? ZW3D2019 has integrated VoluMill seamlessly, and now it is available! It’s easy to start and you will see the benefits obviously once trying it. For more details, please try below links.